Well, it happened. 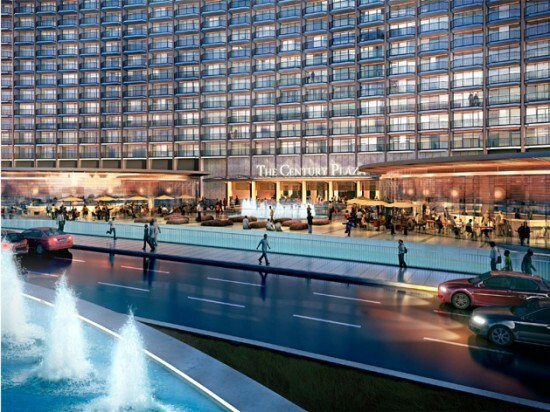 After years of strife over the project, the Los Angeles City Council on Tuesday approved the $2 billion, 1.5 million square foot redevelopment of the Century Plaza Hotel in Century City. Back in 2009 the developer, Next Century Associates, threatened to tear down Minoru Yamasaki’s curving midcentury Hyatt Regency Century Plaza Hotel to make way for the project. But a parade of preservationists, including the LA Conservancy and Diane Keaton, stood in their way. The result: a compromise in which the hotel would be preserved by Marmol Radziner and surrounded by two three-sided, 46-story residential towers by Pei Cobb Freed as well as a 100,000-square-foot retail plaza and over two acres of public open space by Rios Clementi Hale. The executive architect is Gensler. City Council certified the scheme’s Environmental Impact Report and approved a 15-year development agreement. 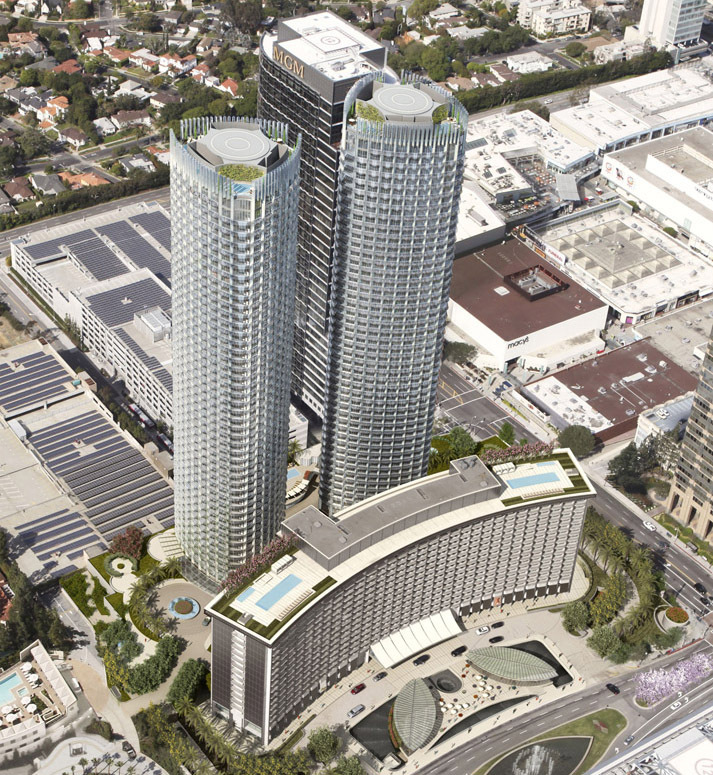 Let the construction begin on another major Los Angeles development. Momentum is building.